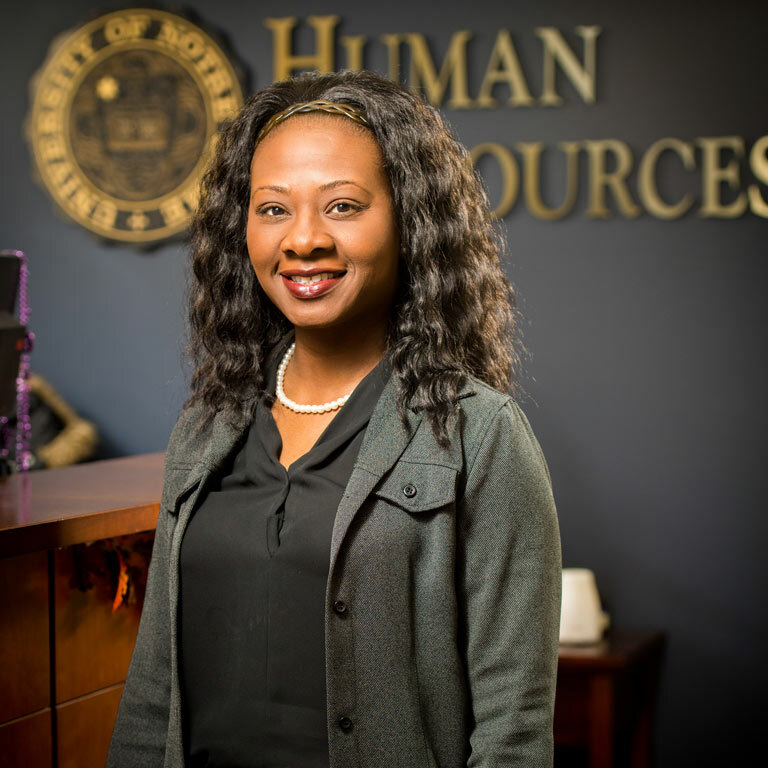 LaTonia Ferguson works as a consultant in learning & organizational development in the Office of Human Resources at the University of Notre Dame. She received her Bachelors of Public Health '98 from IU Bloomington and her Masters in Public Affairs '02 from IU South Bend. Life is full of lessons and full circle experiences. Many of these lessons and experiences fall to the wayside if we aren’t conscious enough to recognize them as opportunities, and then act on them accordingly. Notable lessons that stayed with me include the importance of building strong personal and professional relationships (the often dreaded act of networking), connecting what you love to do with your career pursuits, and being an active participant in your professional development. I gained these lessons and experiences at Indiana University Bloomington as an undergraduate student and at IU South Bend in the Master of Public Affair’s program. This is where my full circle experience came into play. At IU South Bend I took a class called Lifestyle & Career Development that was offered through the School of Education’s counseling program. This summer I had the opportunity to teach the class, almost sixteen years after attending as a student. From the student’s perspective, I was able to learn about the field of career counseling and the career development process. The class was so informative and useful, and I connected with almost every concept that was introduced, that I even pursued career counseling as a profession - the area I have been working in for the past fifteen years. I currently work in Human Resources at the University of Notre Dame as Consultant, Learning & Organizational Development. As the instructor, I was surprised to learn new lessons that actually changed the future goals I had for my career. Initially, I was focused on pursuing a doctoral degree and becoming a professor in my next career transition. However, instructing the class allowed me to identify another field that utilizes all my skills and abilities (human capital consulting) that I am now pursuing. Teaching this course allowed me to dive deeper into the practical applications of career counseling and development, and to hone in on what I would really enjoy doing long-term. Throughout the summer I was able to live the examples I often convey to others: the importance of taking career assessments to fully identify your interest areas, completing informational interviews so you are full informed about a career area before you pursue it, and strategically preparing for opportunities by having an updated resume and cover letter, and practicing your interview skills before you have an interview.